Luminosity is your inner Light. Luminosity is cognition, the capacity to know. Luminosity is awareness, for Light is a synonym for awareness and connection with the true beauty of your Soul. "Ancient memory was stirring, as our inner-sun selves, long hidden, began to recall -- however dimly at first -- that luminosity is our reality as well as our Source." Philippa Merivale, "Harps of Gold, Healing Beyond Time and Space." According to the prophecies of the Maya, the Hopi and the Inka, we're at a turning point in human history, a period of great turmoil and upheaval in which a new species of human will give birth to itself. 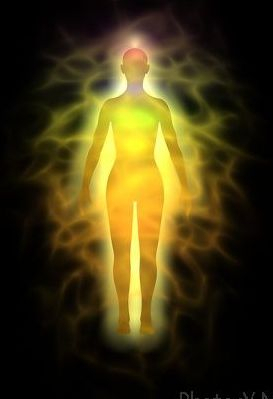 We're going to take a quantum leap into what we are becoming, moving from Homo sapiens to Homo luminous– that is, beings with the ability to perceive the vibration and light that make up the physical world at a much higher level. For the first time, all of humanity will be able to evolve not between generations, but within a generation, which contradicts our beliefs about how evolution works. We'll take a biological quantum leap within our own lifetimes; and the physical, emotional and spiritual traits we acquire will be passed on to our children and our children's children. If this sounds hard to believe, consider that you create a new copy of your body about every eight months, as your cells replace themselves. By following the four insights and implementing their practices, you can manifest a physical body that's free of the tyranny of the genes you inherited from your parents and the medical maladies they bring you. But even more important, you can unchain yourself from the limiting emotional and spiritual stories you've inherited or bought into over the course of your life." understanding, helping you to shine your true Light! your heart and soul to the beauty within you, your inner Light. teachers along your spiritual journey. These techniques using Source Energy, rapidly rebalance any aspect of the mind, body or emotions. unwanted personality traits, abundance issues and many other limiting life experiences. life in new and exciting ways.